The bungalows and villas, 8 pers. bungalows (NL-4904-32) and 6 pers. bungalows (NL-4904-33), 4 pers. villa (NL-4904-35), 6 pers. villa (NL-4904-34), 12 pers. villa (NL-4904-31 or NL-4904-05), 14 pers. deluxe villa (NL-4904-36) and the biggest type of villa, the 22 pers. 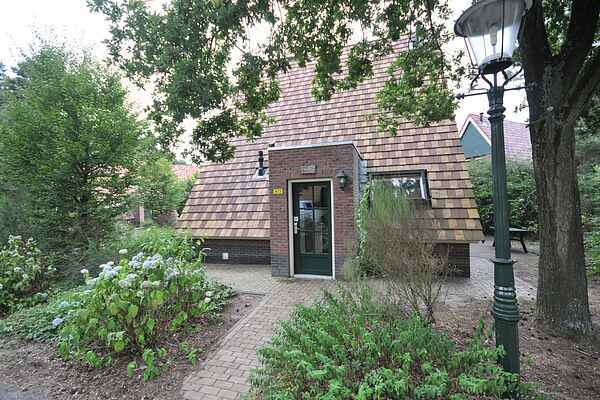 villa (NL-4904-06) are spread throughout the large, woodsy park. They are set on spacious plots in quiet surroundings. The bungalows are spread over the ground floor and the 1st floor, are comfortable and of a good standard. You can enjoy a garden with terrace and garden furniture. The NL-4904-34 also boasts a bedroom specially equipped for children with colour TV, puppet theatre, carnival mirror and much more. The villas are the more luxurious of the accommodations. They include a jacuzzi, sauna (NL-4904-36), steam shower (not in the NL-4904-34), sun bed (not in the NL-4904-36) and extra colour TV in one of the bedrooms. Furthermore, they include a cot and high chair. The NL-4904-36 includes 2 of each and two large walking carts.